FastServers.Net Blog :: International Portfolio :: PRO IT Service S.R.L. - Choose a professional and accessible service for your online image! 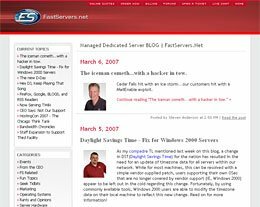 FastServers.Net Blog is consultancy work for improving FastServers.Net already established Blog. 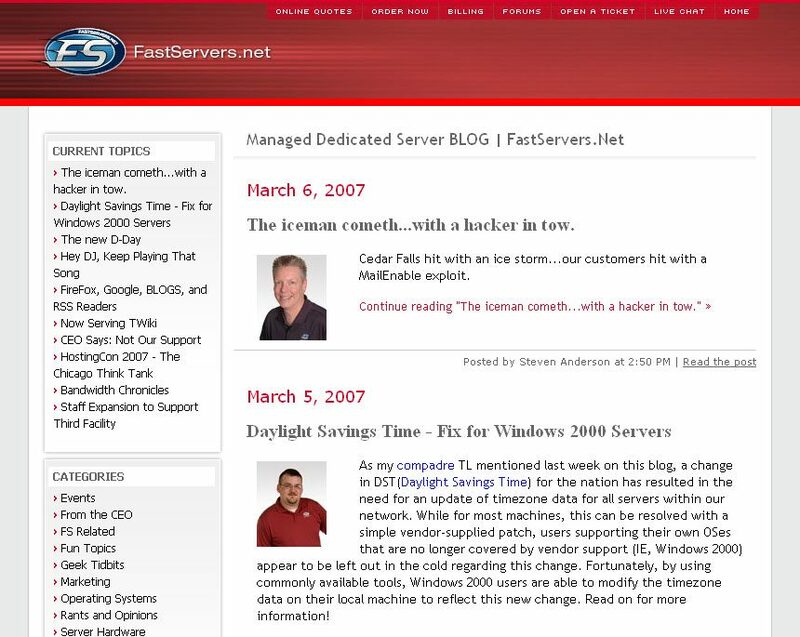 FastServers.Net is a hosting giant, one of the Top 10 Web Hosting companies. Everything started with Aaron Phillips, Vice President of Marketing and Sales at FastServers.Net contacting me for some work on the blog features, as well as a Blog Survey and a Search Engine Optimization Expertise. We ended up working on several blog extra facilities, as well as several advanced Search Engine Optimization procedures. More to come on Phase II. Blog Survey, SEO Evaluation, movable type extra facilities development, advanced search engines optimization for FastServers.Net Blog, Top 10 Web Hosting company. Blog Survey meant to check the initial Blog Environment and propose Blog Extra Facilities to improve the FastServers.NET blog user experience. SEO Expertize meant to improve Search Engine Optimization for increasing FastServers.NET blogging community search engines positioning. Contracting from FastServers Inc., Chicago, IL, U.S.A.